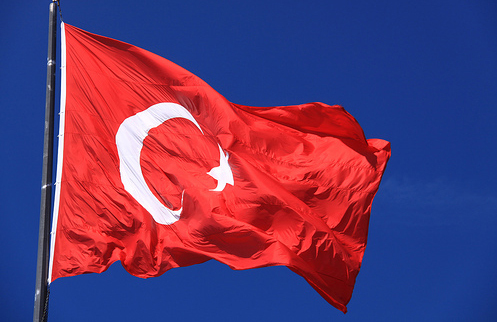 The 12 September is one of the most symbolic days in Turkey’s history. In 1980 on that day, the third military coup was announced. And it was a most devastating coup with a profound effect on political life and society: all parties and NGOs were banned, thousands were arrested, most of them tortured and the coup left a burdensome legacy when the generals returned to their barracks in 1982 – a constitution designed by them which was authoritarian, restrictive and undemocratic. Since then, a lot has changed: about a third of the constitution has been reformed step by step, but a lot still needs to be done to align the constitution with modern democratic standards. That is why the debate to pass a completely new constitution has been raging for years. In the summer of 2007, after a phenomenal election victory with nearly 47 percent of the vote, the governing AKP (Justice and Development Party) commissioned such a constitution from a team of liberal constitutional experts. However, Turkey would not be Turkey if things went smoothly. Because of the immense domestic tensions and huge opposition to many of these changes, the government has never introduced the full draft, but opted again for a step by step solution. The biggest of these steps was finally presented in spring 2010, a package of 23 articles. These received majority approval in parliament, but not the required 2/3 majority needed to change the constitution. At this point, the changes would become valid only if ratified by a referendum. On 12 September the result was clear: a 58 percent majority accepted them. However, the result also manifested once again the deep rift that runs through Turkish society. There is a huge difference in voting behaviour between the Western provinces – including Thrace and the Mediterranean – and the rest of the country. A majority in these Western provinces voted “No”. There the referendum turned into a vote for or against the prime minister and a means of defending themselves against what they saw as an attack on their life style, which includes being less religious, drinking alcohol and dressing very differently from the traditionalist AKP party hierarchy and their wives. This 42 percent “No” vote that went to the leading opposition party CHP (Republican People’s Party) was not a bad result, because at the last national elections the party received just 20.8 percent. Both the AKP and the CHP can live with that result and interpret it as a victory, as political parties so often creatively do. The third “winner” of this referendum is the Kurdish BDP, which decided to boycott the referendum, because it did not concern Kurdish sensitivities, such as the definition of citizenship or education in their mother tongue. The boycott in the majority Kurdish provinces ranged from only 9 percent participation in Hakkari to almost no effect in Sanliurfa, but throughout the region its effects were observable. And since it is difficult for everyone to really be a winner, in politics even this is possible, the loser, at least declared as such by the others, was the nationalist MHP, which campaigned for a “No”, but had to live with a “Yes” even in the home province of Osmaniye of its party leader Devlet Bahceli. All parties now have to play down the scope of the changes that have been passed, which were presented by both camps, in an irrational and for the most part content-free campaign, as being more important than they really were. Despite the symbolic 12 September date and the insistence of the government that these changes will catapult Turkey into the 21st century and align it with EU standards, it was only a small step towards achieving this. Much more still has to change. Equally exaggerated was the fear-campaign mounted by the Kemalist (CHP) and nationalist (MHP) opposition that these reforms would pave the way to dividing up Turkey and giving in to terrorism. More likely it was evidence of the immaturity of the Turkish political system, because the content of the reforms was hardly ever discussed. What has changed then? The most vigorously debated articles concerned the composition and election of the constitutional court. The court will increase from 11 to 17 members, of which three will be elected by parliament and 14 appointed by the president. This example shows the nature of the changes. It is a small step, but also a cowardly one that concerns serious issues. In the previously prepared new draft constitution, it was foreseen that all members would be elected by parliament. However, after criticism by the opposition that the government was trying to get the judiciary under its direct control, the AKP changed this reform to something not much more than cosmetic. Some of the other new articles sound nice, but will have little direct effect, such as positive discrimination for women and children to secure equality. Other changes are more concrete, but also politically much less controversial, e.g. civil servants now have the right to be a member of more than one union; data protection will be more secure and travel restrictions will be eased. After years of talk, finally an ombudsman system will be introduced and citizens will get the right to apply directly to the constitutional court. Two aspects of the changes affect the difficult civilian-military relationship: the first concerns the military court system, which will be restructured and limited in scope. Secondly the referendum annulled the “temporary article 15” (after being temporary for 28 years), which saved the coup plotters, allowing 4-star generals to escape legal prosecution. On the morning of 13 September, various NGOs, political parties and individuals sued coup leader General Kenan Evren in various cities in Turkey. Evren meanwhile is 93-years-old and therefore it is not clear whether he will really stand trial, but for many people who were arrested, tortured or lost relatives during the time of the coup, symbolically this is very important. One additional result of the referendum was a wave of political activity. Most of the movement happened on the Kurdish issue: talks were begun between the AKP and the Kurdish BDP and the BDP presented a list of articles they would have liked to change, e.g. concerning mother-tongue education, definition of citizenship and decentralization. These are very sensitive political issues and it is extremely doubtful that the AKP will put these articles on the agenda before the elections scheduled for summer 2011. This would merely provide the opposition with ammunition for another fear campaign and easy propaganda like the “AKP gives in to terrorists”. To avoid this, these changes, which are absolutely necessary to transform Turkey into a truly democratic country, could be postponed until after the elections, depending on another election victory and a clear majority in parliament. But the debate is ongoing also about the use of Kurdish in the education system, a complete taboo just years ago. The CHP became active after the referendum. New party chairperson Kilicdaroglu visited Brussels and Berlin, trying to present the CHP as a pro-EU and reform party with a social-democratic agenda. Kilicdaroglu even said that he would favour further constitutional changes before the elections, but how this could work out is difficult to imagine, not least because prior to the referendum the CHP was categorically against the recent changes, and also opposed other laws in recent years presenting itself, in opposition at least, as EU-sceptical, if not completely anti-EU. This will need time and, more importantly, new faces to credibly present a new policy. The third biggest party in parliament (14%), the MHP, is in a dilemma. It seems that their core voter group, ultra-nationalist Turks, who are against any form of minority rights and EU membership, is shrinking. If they move towards the centre or towards a more religious emphasis, then they will find that the AKP or the Islamic Felicity Party (SP) are already there and a move towards pro-EU and minority rights would not be credible. It therefore seems that the party will focus on its core group and try to mobilize it as much as possible – for example by using emotional events such as the Friday prayer in the ancient Armenian city of Ani, which the Seldjuks conquered in the 11th century. This happened on 1 October 2010 and was in protest against the first religious service in the Armenian Church on Akhtamar Island near Van. The discussion on all sorts of constitutional changes and reforms will intensify in the coming months. However, whether far-reaching reforms will still be carried out before the elections will depend on the courage and strategy of the AKP, but also on how the political climate evolves. If there is positive dialogue with the BDP, a cease-fire by the terrorist PKK, no (or few) attacks and military clashes, then sensitive issues could also make it into another reform package. But since this process of normalization has many opponents amongst Turkish and Kurdish extremists, there is always the danger that this process will be sabotaged. Then it would need political commitment and pertinacity, even courage, which is not a common feature in Turkish politics. However, right after the referendum the AKP started a discussion on another topic, which regularly comes on to the political agenda, especially when parties feel strong. This is to transform Turkey’s parliamentary system into a presidential system, in which the current Prime Minister Erdogan could become a new powerful president. However, an introduction of a presidential system into a strongly centralized country does not seem to be desirable. There would have to be a bigger change in the political system, which would need to be much more decentralized to safeguard the balance of power. This would link the discussion on the presidential system with the Kurdish issue and more power to the provinces. Therefore it is very likely that this idea will soon be set aside again to reappear after the next elections together with other sensitive issues.